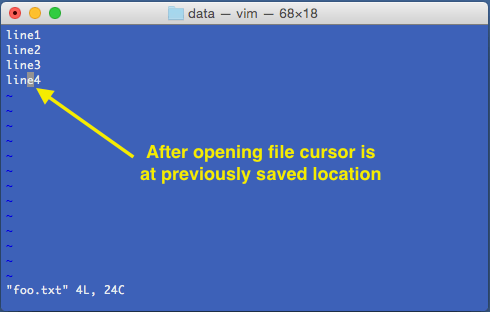 Vi (or Vim) editor can remember location at the time of exiting a file. This can be fairly convenient while editing files during development. Add the following code to ~/.vimrc file. Note that ? * tells vi to run autocmd only if it was opend with a filename.